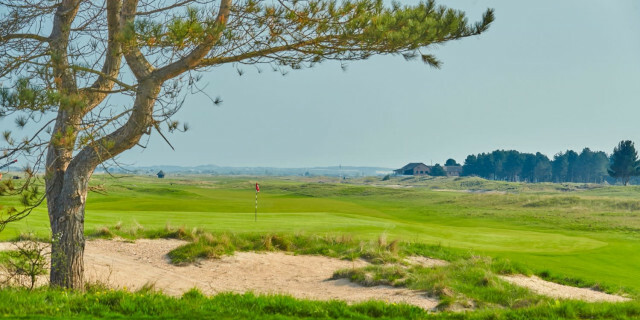 The revered Prince's Golf Club in Kent's Sandwich Bay, famously host of the 1932 Open Championship, has showcased its spectacular redeveloped Himalayas nine holes with a grand unveiling. Designed by renowned international golf course architects Mackenzie & Ebert, work began in August 2017 to transform the Himalayas into one of the finest stretches of links golf in the country. Opened on May 1st in front of the some of the country’s most influential golf media and personnel, the new nine features two new holes, a short, signature par-3 fifth hole which plays out towards the sea, as well as a long par-5 second hole which combines the second and third holes of the old layout and can be stretched to 615 yards. Rob McGuirk, General Manager of Prince’s Golf Club, commented: “We’re committed to continuous improvement at Prince’s and this is certainly the most ambitious phase of development the club has seen for decades. Martin Ebert and Mike Howard, of Mackenzie and Ebert Limited, visited the links on multiple occasions to assess the land and scope for the project prior to undertaking the work. The company subsequently produced an Historic Report which analysed historic, pre-war and wartime RAF photography and unveiled a variety of interesting features which helped to frame the narrative of the new nine and restore some of the traditional elements of the course. To recognise the historical significance of the site, a replica spitfire propeller has been installed by the third tee, paying tribute to the heroics of fighter pilot, PB ‘Laddie’ Lucas. A previous Walker Cup captain and son of one of the founders of Prince’s, Laddie made a forced landing on the site in July 1943 after his aircraft was badly damaged by enemy fire as he returned to RAF Manston from a mission over northern France. Another nod to the site’s historical importance sees the new fifth hole named Bloody Point in reference to the great naval battle that took place in Sandwich in AD 851 on the land where Prince’s now sits. 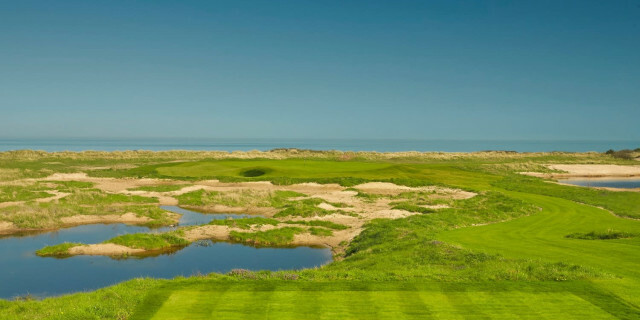 This short par-3, with the backdrop of the English Channel, is one of several notable changes that have increased the par of the nine to 36, while extensive changes to the bunkering, water hazards, green surrounds, out-of-play areas, tees and clearance of trees are all included in the complete works.